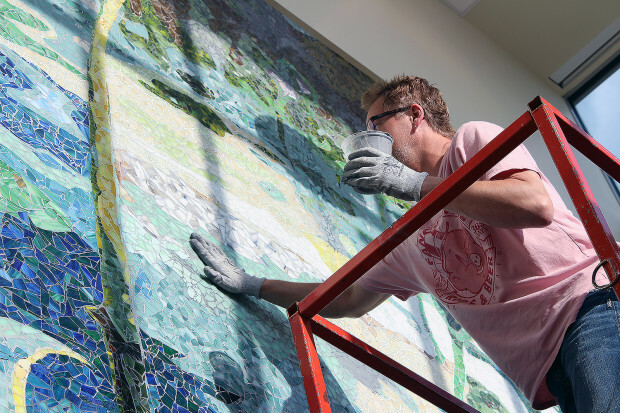 "A creative thinker from an early age, Jonathan has become a renowned mosaic artist. 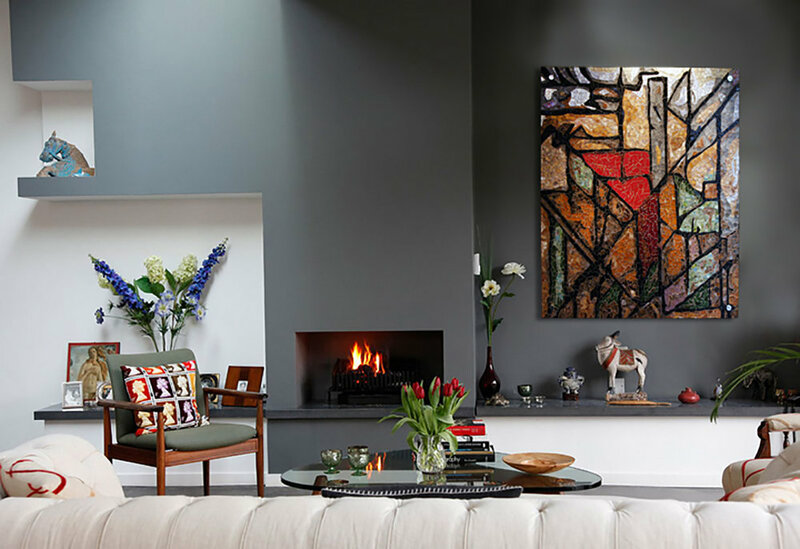 From wall décor to swimming pools to incredible installations in public spaces, Jonathan creates custom artworks that are stunningly unique and modern, working a mosaic in wherever he sees it fitting in. " 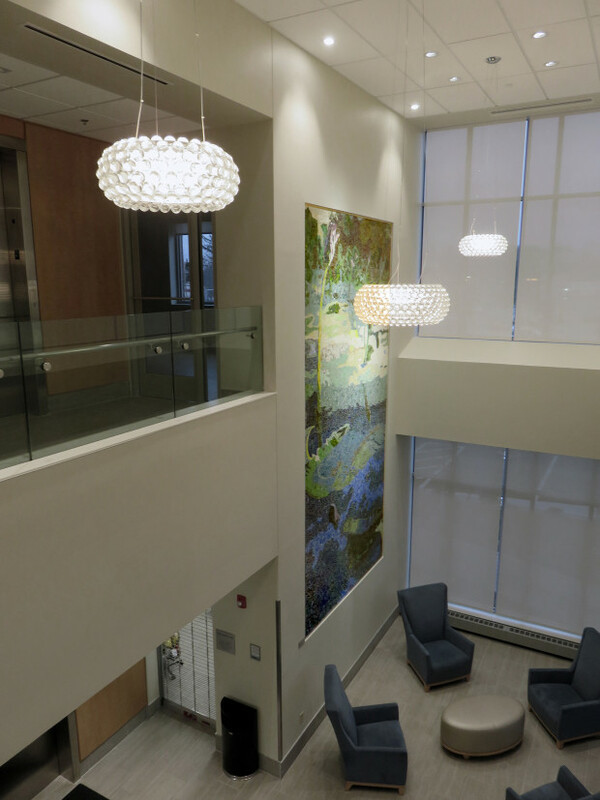 Signature Healthcare Brockton Hospital asked Boston Art to commission a recessed atrium wall at the entrance of the newly built Brockton Cancer Treatment Center. Jonathan began this process about a year before the installation. He collaborated with the team to determine, source, and provide concept imagery. The goal and focus was to provide a soothing nature that could transport one to a calming and healing environment. Jonathan provided inspirational photographs he had taken of lily pads. These images were the perfect blend of uplifting color and serene stillness. Next, he undertook the incredible process of mapping out and applying over 75,000 broken pieces of glass. The end result is an incredible testament to his attention to detail, craftsmanship, and fine eye for beauty.